Holly Willoughby helps to break records - Shout! This year’s “I’m A Celebrity Get Me Out Of Here” is the most popular series to date, based on viewing figures, in the show’s 18-year history. But why is this group doing so well and why is watching celebrities eating fish eyes so entertaining? The opening episode of this year’s series was watched by a total of 14.2 million including views from catch up services and recordings. That is an increase of a million views compared with the opening last year. Of course, the biggest change from 2017 to 2018 is the presenting line up, with “This Morning” host Holly Willoughby standing in for Ant McPartlin. What made the show so great in previous years was the relationship between Ant and Dec. In the first programme of the new series Holly seemed to almost be starstruck that she was on the show, making jokes about how she couldn’t believe she was there and even picking a star up and keeping it for herself. But now we are 9 episodes into the series and Holly has started to become more of a partner and less of a co-host. What I mean by that is Dec and Holly are becoming more of a unit rather than separate presenters, often joking or jumping on each other’s gags. Take last night, for example, when Holly joked about the rising tensions in the camp between Nick and Noel. She said: “Well you know what it is like, you put two TV presenters together, big egos”, joking that both wanted more screen time. She then, ironically, asked for a close up for her next link and bickered with Dec when he crawled across the screen to block her. How much of that is down to the presenters themselves and how much is down to the team of writers is questionable but what we do know is, as far as the audience is concerned, it’s working. Holly has seemed to let go of her morning TV presenter image, letting loose her great sense of humour and warm personality. But what is more interesting is the camp mates and what they get out of appearing on the show. This year’s cast includes “DIY SOS” presenter Nick Knowles; broadcasting legend Noel Edmonds; Anne Hegerty from “The Chase”; football manager Harry Redknapp; soap stars Sair Khan, Rita Simons and Malique Thompson-Dwyer; “The Vamps” guitarist James McVey; pop star Fleur East; actors John Barrowman and Emily Atack. The 11 camp mates are having a rough time at the moment in the Aussie jungle. But does participating in the jungle lead to more opportunities once they leave? Past contestants have gone onto be regular presenters on shows such as “This Morning”, “Ant & Dec’s Saturday Night Take Away” and “Loose Women”. But you don’t just have to win the show to make a name for yourself. Taking part in a show of this magnitude can enhance your exposure a lot. There is no doubt it helped form the careers that a lot of ex camp mates have gone on to have in the PR industry as ambassador spokespeople. The likes of Scarlett Moffat, Joel Dommit, Georgia Toffalo, Stacey Solomon, Ferne McCann, Ashley Roberts and Joe Swash all appear on our screens and airwaves regularly, often with the PR pound. 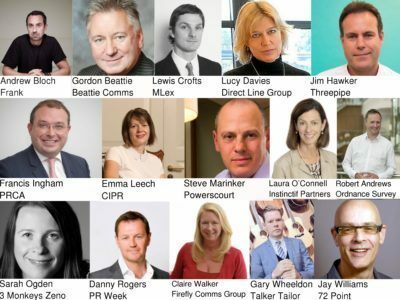 We look forward to seeing which of the current camp mates become stalwarts of the PR world next year.